The Daniel Defense V7 is the first rifle in the DDM4 lineup to feature the M-LOK® attachment technology with the Daniel Defense MFR XS 15.0 rail. Built around a Cold Hammer Forged, 16” barrel, the V7 has a DD improved Flash Suppressor to reduce flash signature. The mid-length gas system provides smooth and reliable cycling under any condition and reduces both perceived recoil and wear on moving parts. 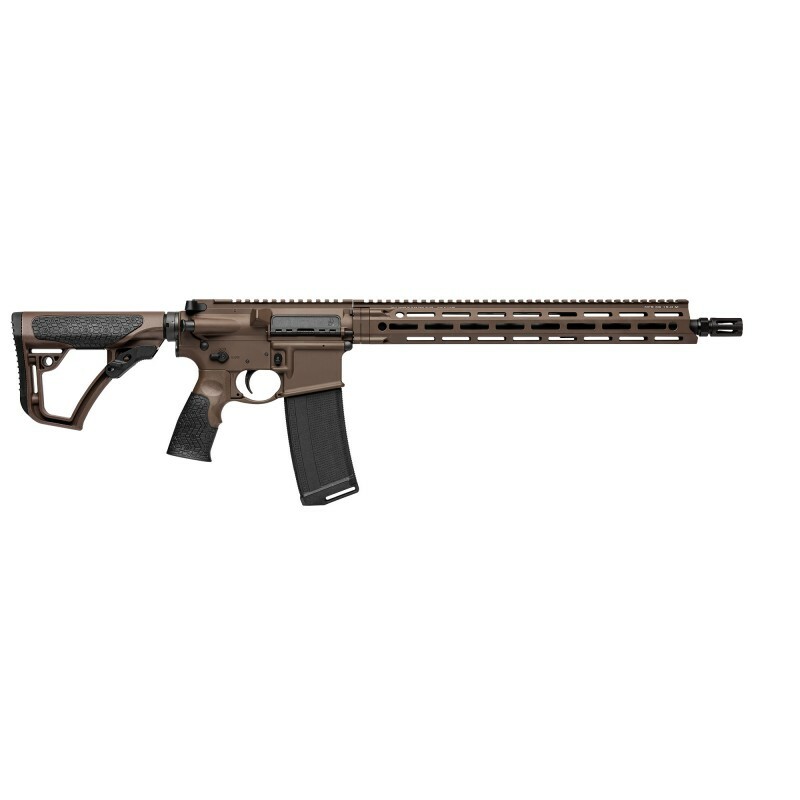 A free-floating MFR XS 15.0 handguard offers incredible weight savings as well as superior cooling, ergonomics, and modularity while maintaining the strength and durability expected from Daniel Defense. With the M-LOK attachment points that run along 7 positions and an uninterrupted 1913 Picatinny rail on top, the V7 has plenty of room for the sights, optics, and accessories the user may require. 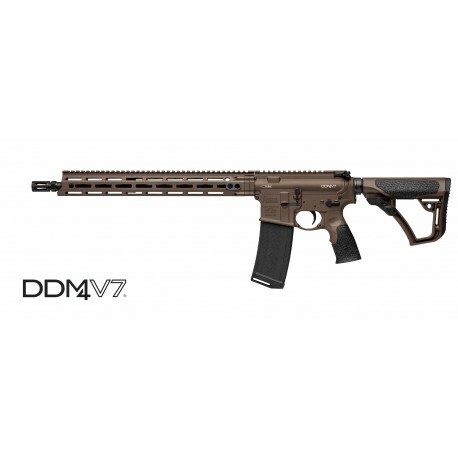 The rifle is finished off with the rugged and comfortable Daniel Defense Buttstock and Pistol grip. This rifle is finished in Mil Spec + Cerakote.